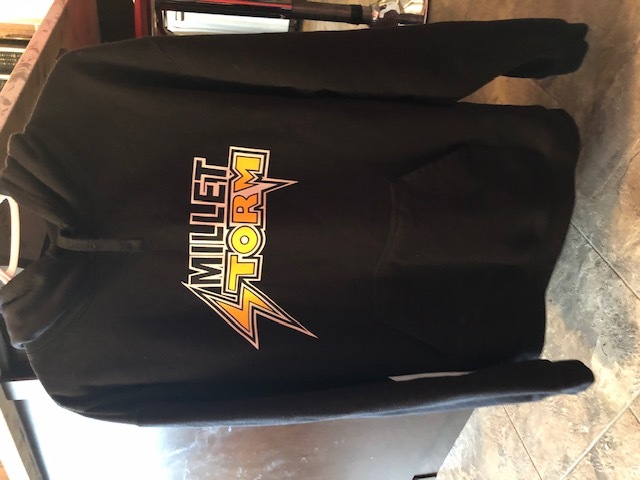 If anyone is interested in Millet Storm hoodies or t-shirts, there is a local gal that makes them and will be at the arena with sizes to try on and taking orders. She will accept debit/credit if purchased Tuesday or Wednesday night. She also accepts cash or e-transfer.